Protecting your investment is important when you're starting a fashion truck or mobile boutique business. Find out what insurance agents say about how to insure a fashion truck and how much it costs. Mobile boutiques are licensed in different ways depending on where you live. Figuring out what licenses you need can be difficult, but not impossible. 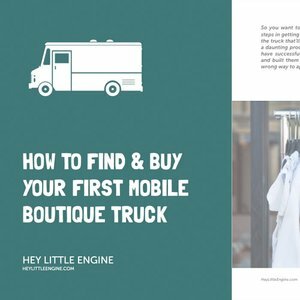 You can start a mobile boutique on almost any budget. The question is: how much can you afford, and what should you expect to do yourself for that amount?